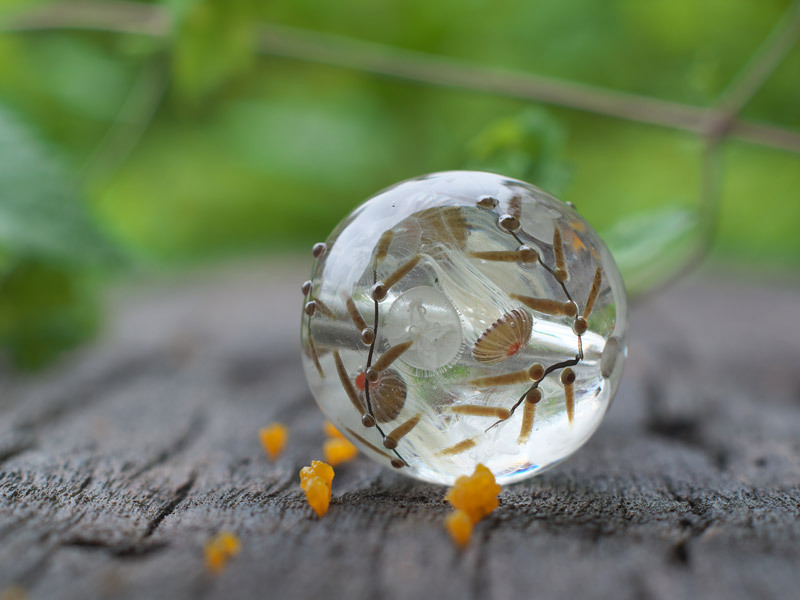 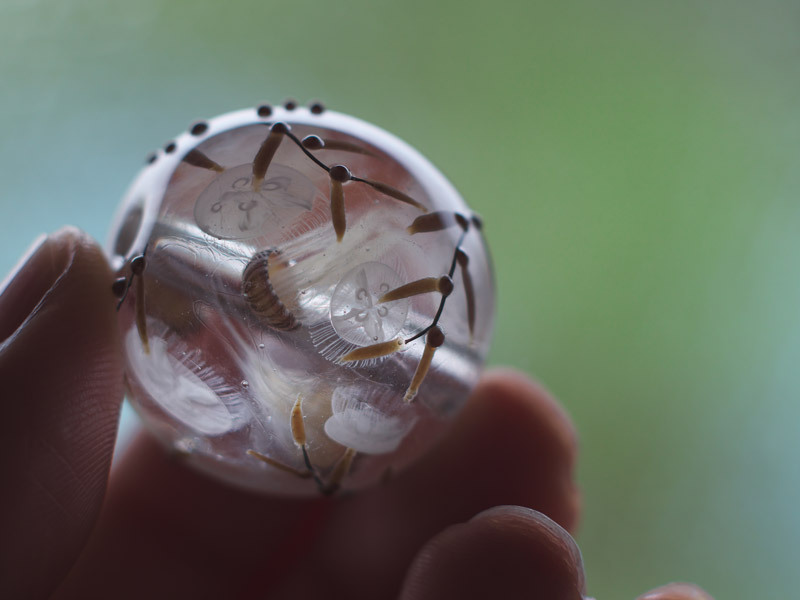 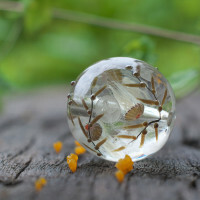 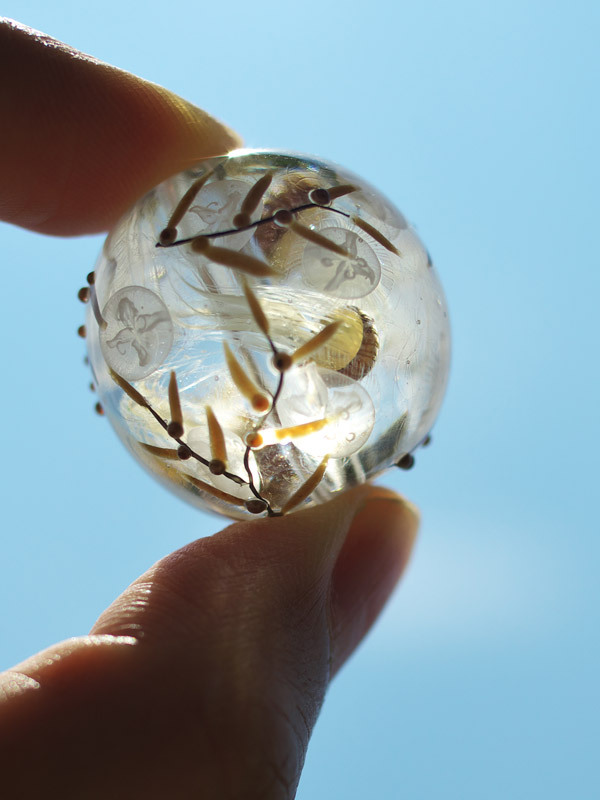 “Glass specimens of biosphere” series > Water-sphere beads. 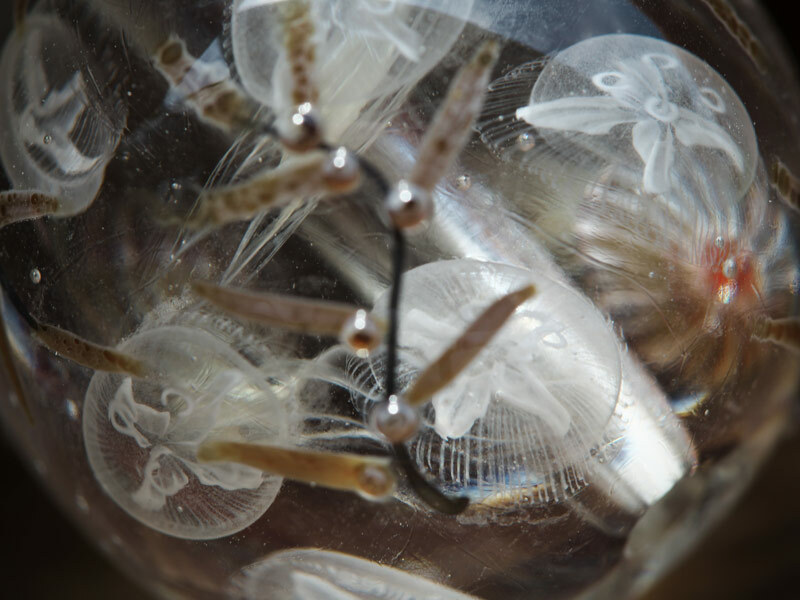 —A bloom of moon jellyfish (Aurelia aurita) and Japanese sea nettle (Chrysaora pacifica) under the drifting Sargassum Seaweeds. 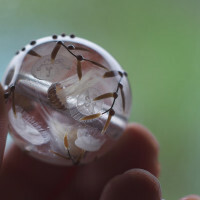 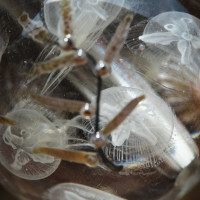 Eleven moon jellyfish and three Japanese sea nettles are swimming in this bead. 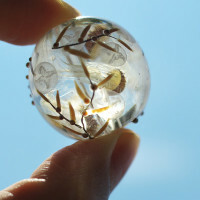 Materials: lead glass and soda glass (SATAKE GLASS).